Do I even need to recount how terribly bad for you the traditional McDonalds Shamrock Shake is? Yes, there was a time when I lived for them, longed for them and loved them! But that was a long time ago, and I know better know. 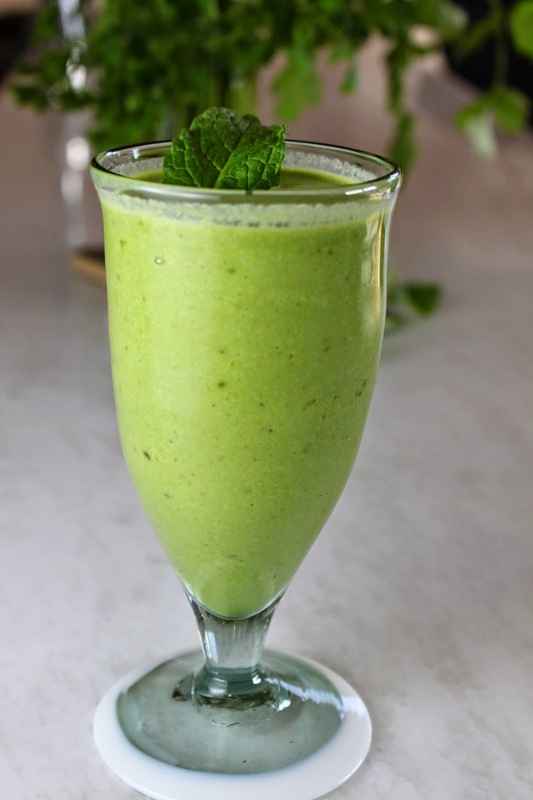 I still crave that creamy minty taste though and there is no reason not to satisfy the taste buds, especially when we can recreated this shake in a healthy way! There are reportedly over 50 ingredients in the fast food shake version, many of those being versions of sugar. My rendition is just as creamy and even more minty than the original while making use of natural dates for the sweetness. And I see no reason to limit this delightful smoothie to only one time a year. Now you can have a bit of minty shake anytime and feel good about it! Add all the ingredients except the ice to the blender and blend until smooth. Add in the ice and blend till smooth. Enjoy! Yield: 1 large or 2 medium smoothies.